Have you ever been on a HalloWINE Haunted Hayride? Me neither, but this sounds like a blast! Legend has it that this once was a nice hayride thru the vineyards to enjoy the scenery. NOT NOW! This haunted hayride will take you thru a mile long journey of demented monsters who will find joy in scaring away any unwanted guests! If you are ready for a ride of a lifetime come on out and enjoy. 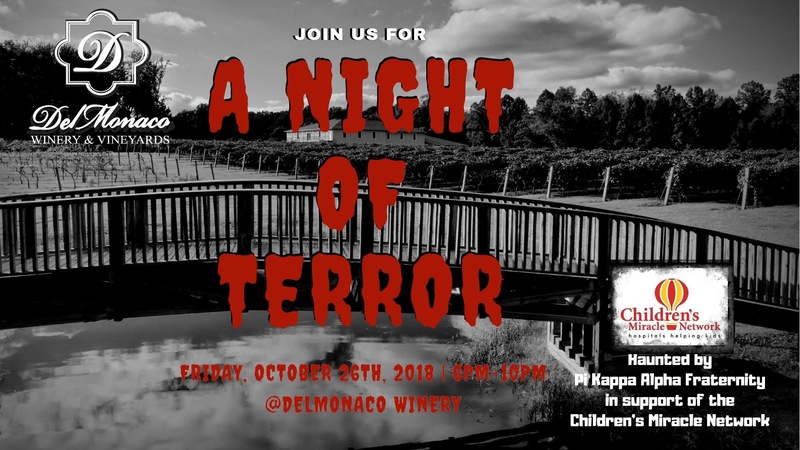 The vineyards are being haunted by Pi Kappa Alpha (Pike) Fraternity in support of the Children’s Miracle Network. Check out: http://www.facebook.com for ticket information. Hope to see ya there!